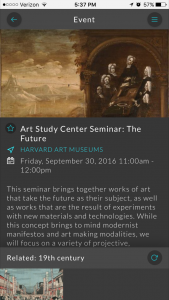 How can we engineer the discovery of art? 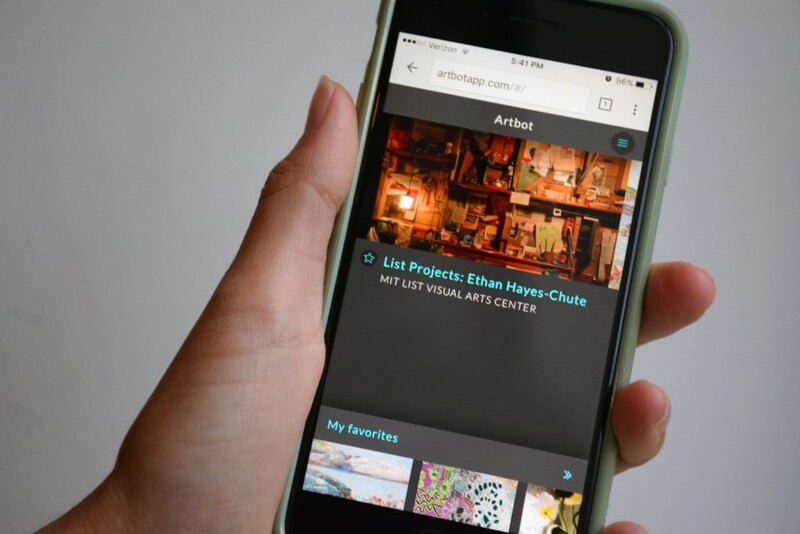 While a graduate student at MIT and a researcher at HyperStudio, MIT’s digital humanities laboratory, I co-led the development of Artbot, a discovery and recommendation system for art in the greater Boston area. 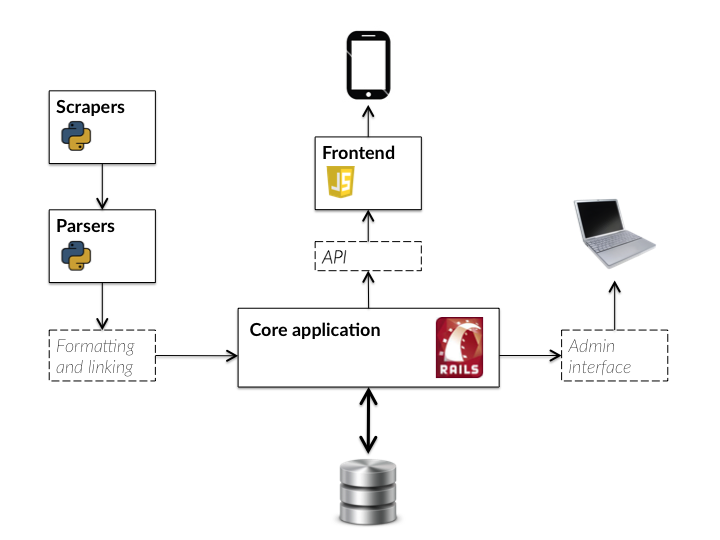 The application’s interface allows for two main modes of discovery: a serendipitous approach that allows users to explore linkages between events and exhibitions, and a recommendation system that suggests events based on a user’s interests. My responsibilities included conceptualization, interaction design, project management, and user research. 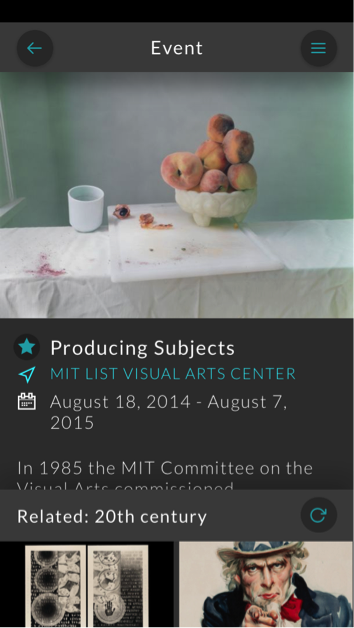 Artbot is a discovery engine that has two main ways of recommending events and exhibitions to users: personalized recommendations based on favorites and user interests, and serendipitous connections between events, based on automatically generated tags. The back end of Artbot’s technology stack is designed to support the unique and nuanced recommendation engine that can complement and reinforce these playful, serendipitous elements of user discovery. We developed a series of web scrapers that automatically pull events and exhibitions anytime they are added to a cultural institution’s website. 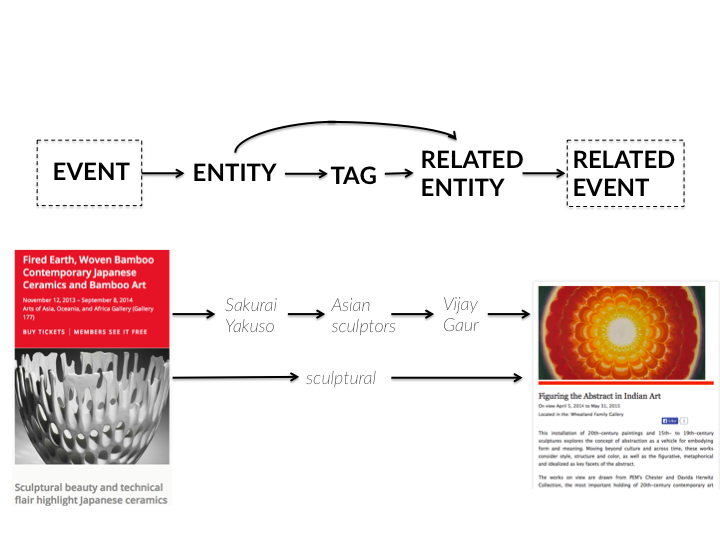 Artbot then utilizes a suite of third-party natural-language parsers to turn the event and exhibition descriptions, replete with rich and useful information, such as artists, movements, mediums, and geographic locations, to create linkages between them—a process called named entity recognition (NER). 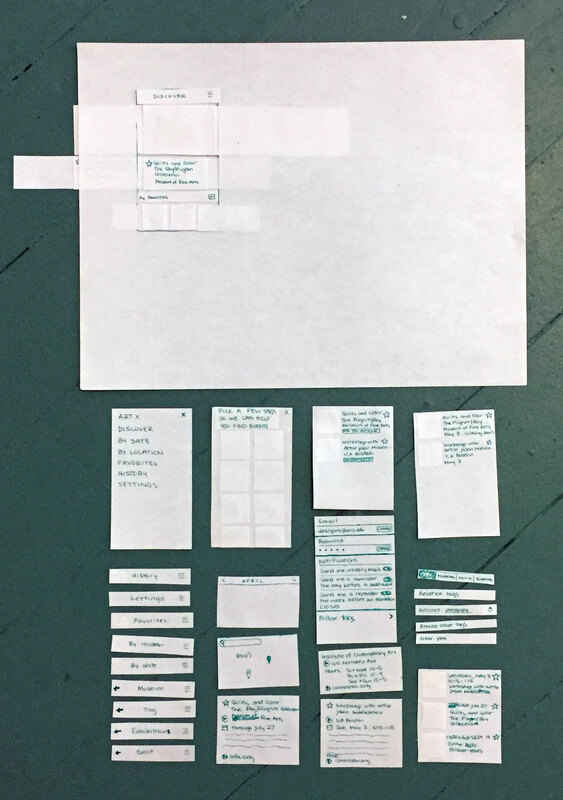 We tested our design assumptions by paper prototyping the interface elements before creating the web app. The landing page, also called the “Discover” page, reflects the personalized-recommendation aspect of the application. On the top two-thirds of the screen, a signed-in user sees one event or exhibition at a time based on his or her preferences. The user can swipe left or right to browse up to ten other recommendations. 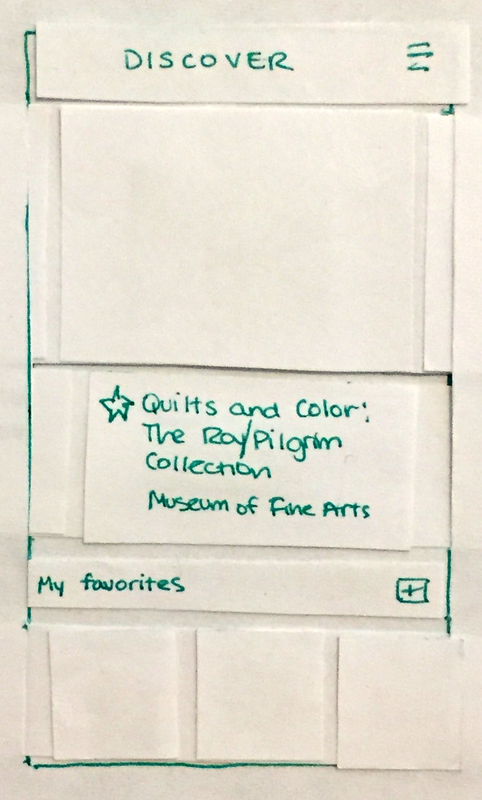 On the bottom third of the same screen, a user can access the events and exhibitions they’ve saved via the “My Favorites” carousel.